Yes, a muffin-like cookie with a cream cheese glaze. Does it get much better than that? The cookie itself is wonderful on it’s own. It’s lightly sweet and the blueberries really pop. However, I highly recommend the glaze with this cookie. The glaze is made with cream cheese, powdered sugar, and fresh lemon. It really adds a nice sweetness and brightness to the cookie. You can make the glaze as sweet as you’d like by adding more sugar. These are perfect for breakfast or dessert. 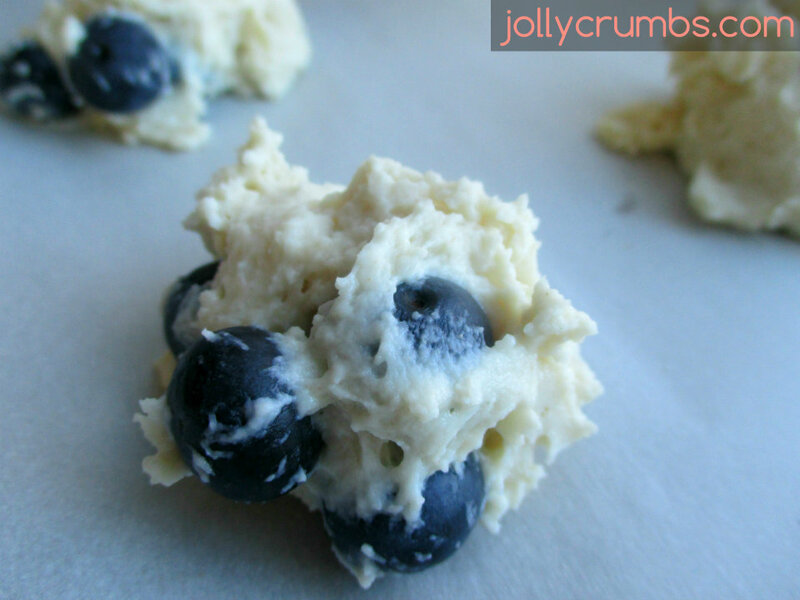 If you like blueberry muffins, you will definitely like these. Mix together the Truvia sugar and yogurt until smooth. Add in the egg whites and vanilla until smooth. In a separate bowl, whisk together the flour, baking powder, and salt. Then stir the dry mixture into the wet mixture. Fold in the blueberries until well combined. I used fresh blueberries for this. You can certainly use frozen blueberries. 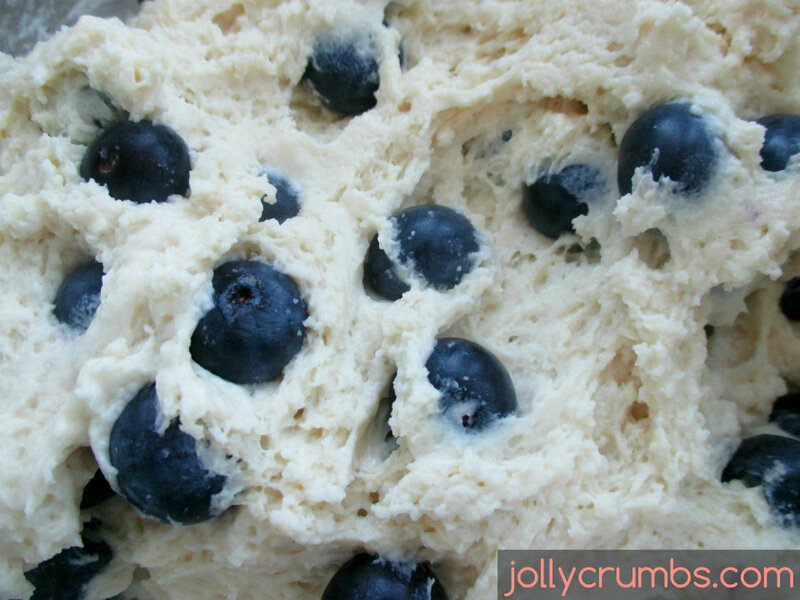 Just keep in mind the frozen blueberries may “bleed” a little, so you may have a streaky looking dough. Drop the cookies by large spoonfuls onto the prepared baking sheet. You can make these as big as you want. Leave about an inch of space between cookies. Press the cookies down some so they are not in large, tall mounds. They do puff up slightly. Bake for 10 minutes, or until the cookies are lightly browned around edges. Remove and let the cookies cool on the baking sheet for 2 minutes. Then transfer to a wire rack until completely cool. The glaze for these cookies is completely optional. However, I think it adds some much needed sweetness and tang. In order to make the glaze, beat the softened cream cheese with a mixer until smooth and creamy. Add in the confectioner’s sugar and lemon juice until creamy, about 3 minutes. Add in more confectioner’s sugar if the glaze is not sweet enough for you or if it is too liquid. Stir in the lemon zest. Spread the glaze or dip the cookie tops in glaze. Keep the cookies refrigerated, but leave out at room temperature before serving. These cookies are definitely muffin-like in texture. These really remind me of a muffin top. They are cake-like and very soft. These are really quite delicious. I had some for breakfast and for dessert. The cookie is very tasty on its own. However, the glaze is especially good. It as a nice sweetness and tang to the cookie. You can certainly leave it off if glaze isn’t your thing. These aren’t overly sweet, and the blueberry and lemon go so well together. 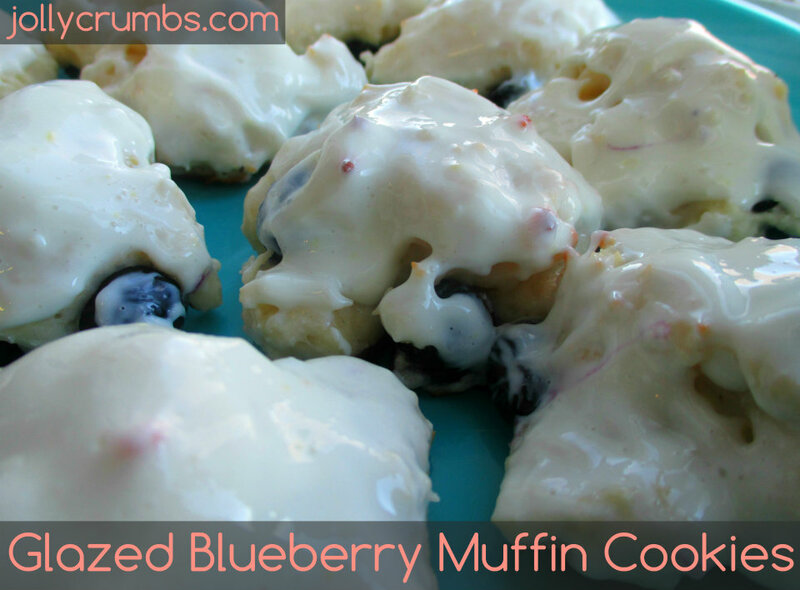 If you are a fan of blueberry muffins, you will definitely like these. Preheat oven to 375°F. Line two baking sheets with parchment paper, silicone baking mat, or spray with nonstick cooking spray. 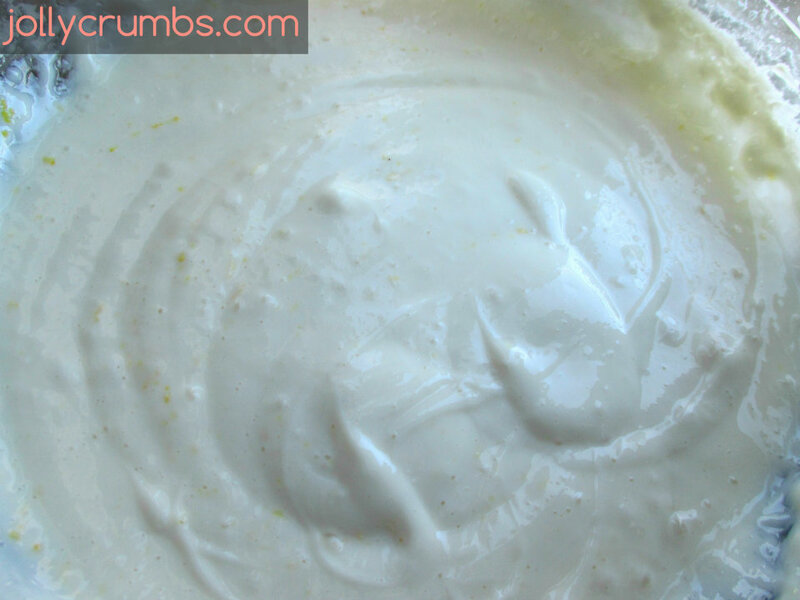 In a large bowl, mix together the Truvia sugar and yogurt. Add in the egg whites and vanilla until smooth. In a separate bowl, whisk together the flour, baking powder, and salt. Then stir the dry mixture into the wet mixture. Fold in the blueberries until well combined. Drop the cookies by large spoonfuls onto the prepared baking sheet. Leave about an inch of space between cookies. Press the cookies down some so they are not in large mounds. They do puff up. Beat the softened cream cheese with a mixer until smooth and creamy. Add in the confectioner’s sugar and lemon juice until creamy, about 3 minutes. Add in more confectioner’s sugar if the glaze is not sweet enough for you or if it is too liquid. Stir in the lemon zest. Spread the glaze or dip the cookie tops in glaze. Keep refrigerated, but leave out at room temperature before serving. Blueberries will burst during the baking, so don’t be alarmed if you see or hear blueberries bursting. It doesn’t affect the flavor at all. These are really different! Will be trying soon!